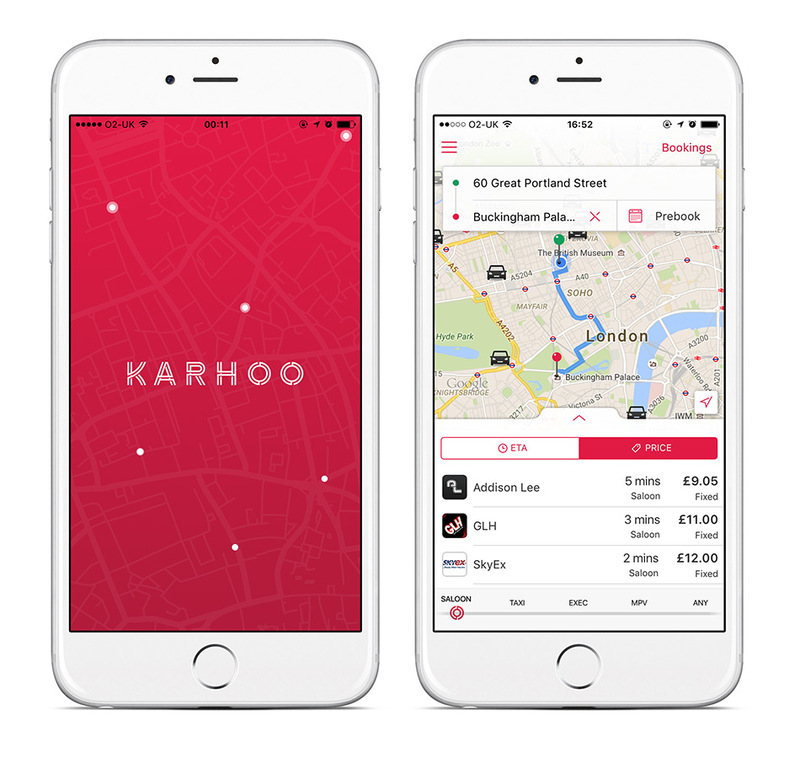 Karhoo is the world’s first and only car comparison app that connects passengers with licensed taxi drivers wherever they are. 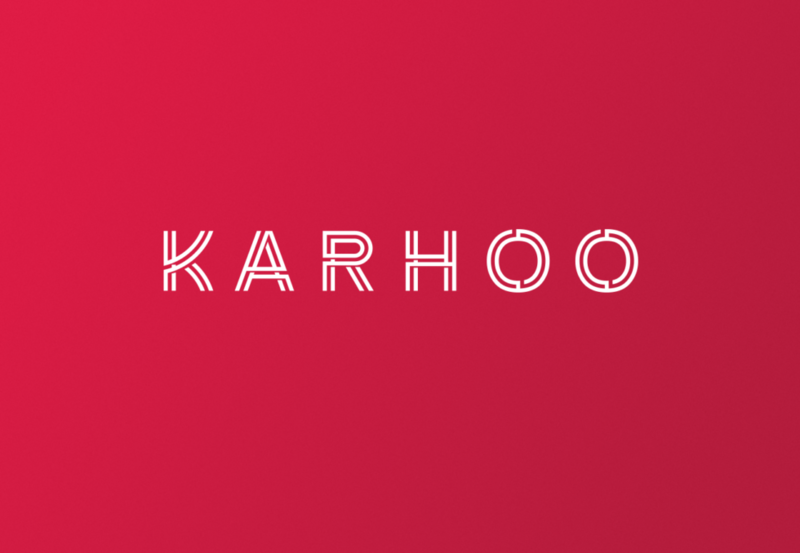 With the ability to compare taxi services based on either price or estimated arrival time, Karhoo gives passengers the freedom to choose the ride that suits them. 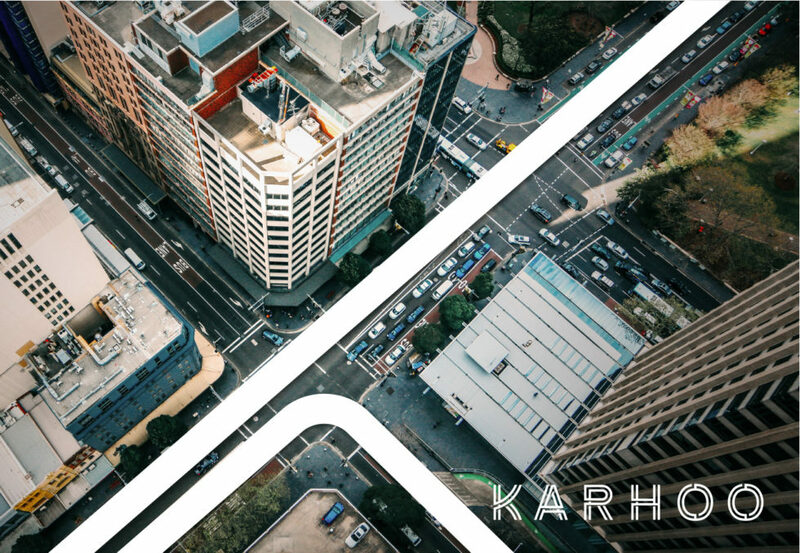 Using an aerial perspective and inspired by navigational maps, a consistent yet flexible visual language was developed for all brand and marketing material. 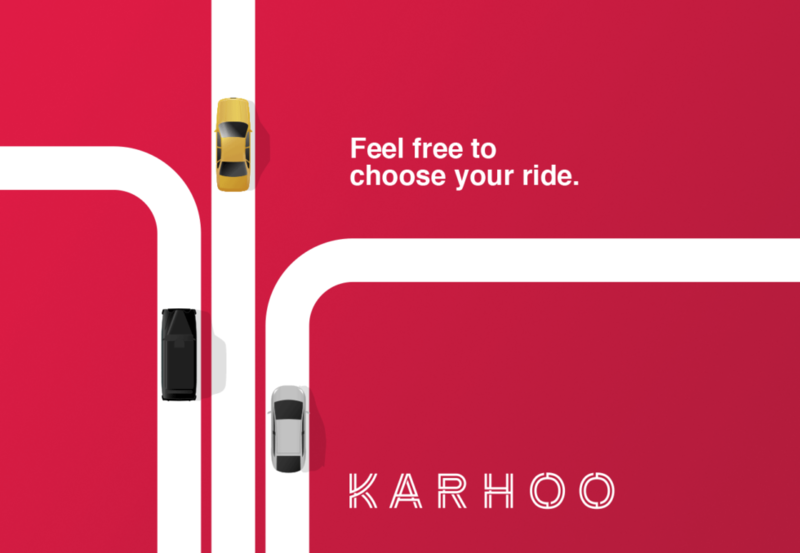 Parallel and concentric white lines serve as roads for each taxi vehicle and illustrate the freedom and choice available for passengers, with a carefully crafted multi-linear solution forming the Karhoo logomark.